Lawn & Turf Grass Seed | Zoysia, Bermuda and More! With nearly 200 options for different varieties of seed in our Lawn and Turf Grass Seed section you simply need to choose the one that most appeals to you and is most suited to your climate. If Kentucky Bluegrass is your thing, we've got nearly a dozen different varieties with close-up photos and detailed descriptions explaining the unique characteristics of each one. SeedRanch Kentucky 31 Tall Fescue Grass Seed - 1 Lb. Blackjack Bermuda Grass Seed - 1 Lb. 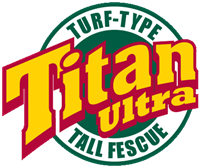 Titan ULTRA Tall Fescue Grass Seed (Certified) - 1 Lb.